Oh meow Lord, this is so embarrassing that I’m blushing! For several months now, I, Effing Feline, have been writing the 8 Sentence Sunday blog posts for Mr. Valentine, aka Edward Hoornaert. Well, you’ve undoubtedly seen the shocking pictures on 60 Minutes, the National Enquirer, NY Post, YouTube, etc–but in case you haven’t, Ed is determined to teach me a lesson. He’s holding catnip just out of my reach to force me to display one of the scandalous pictures here. Oh, the shame of it! Okay, so I don’t do my own typing for my Eight Sentence Sunday column. So what? The bird hunts and pecks faster than I do, and he works for chicken feed! Today’s excerpt (Yes, it was typed by the bird. Give me a break already!) is from Ed’s new science fiction romance, Alien Contact for Idiots. Heroine Ell is chatting with a Native American he-man from an alternate Earth, Prince Tro, about differences in the histories of their worlds. A log in the fireplace crackled, as though sharing her disbelief, and a glowing ember exploded onto the grey ashes below the grate. After sitting on the same couch as Tro for half an hour without being able to touch him, she knew how the ember felt. Lol, another fabulous snippet. I wonder if Tro will ever see a picture of Einstein;). Great 8. Considering that Tro’s people can’t return to his home timeline, I’m sure he’ll learn about Einstein. When I was young, my big sister told me Einstein’s hair was big because his brain was so very fertile. I believed her, too. The ember exploded etc. Totally delightful. You are a wonder. All those years of having fireplaces and WORRYING about exploding embers paid off. She is completely right of course! A world without Einstein? There are so many things to love about Einstein. “The hardest thing to understand in the world is the income tax.” (Einstein) A timely remark from a man who probably knew better than to file his own. Well-written excerpt, Ed. I love where this story is going. And give that bird a peck on the cheek from me. I think his typing is better than mine. 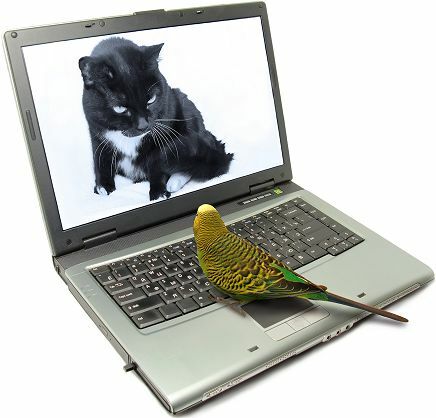 OF COURSE the bird’s typing is exemplary. Wouldn’t yours be if your boss threatened to kill and devour you if you make a mistake? In particular, it’s a perfect clash for Ell (wants to learn about Kwadra’s advanced science while falling in love while hoping to retain her scientific neutrality) and for Tro (who aims to seduce her into helping his outnumbered people adapt peaceful to their new Earth, but feels like he’s treating Ell horribly). Interesting about Einstein not being in their world. (Enjoyed your discussion in the comments about why this particular scene…) Quite thought provoking, great snippet! Unlike a lot of my stuff, this series is more romance than science fiction–but I still try to think through the scientific and cultural aspects of the story. Please note–that doesn’t mean I’m sure I get it right! This is why I love writing, we are able to create a new world for readers and you really show us here. Love the discussion, great visuals! Lovely eight! Thanks for visiting my world, Neva!